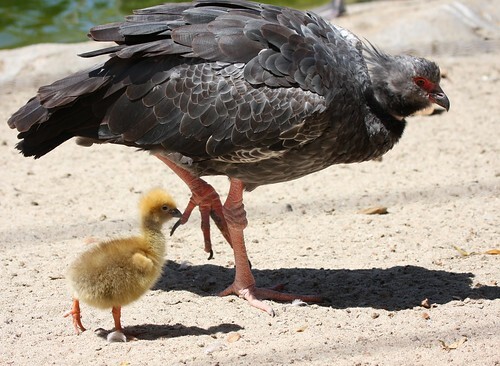 Last week at San Diego Zoo, photographer Nathan Rupert caught these precious moments when a newborn Crested Screamer tried out some new steps with Mom as her guide. 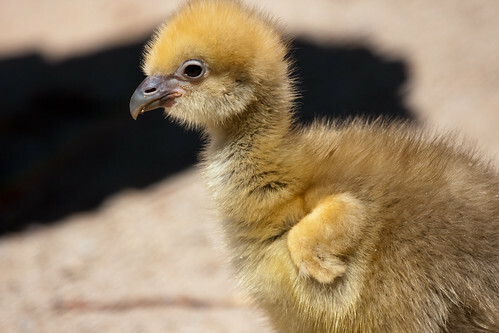 Crested, or Southern Screamers establish monogamous relationships which last throughout their 15-year lifespan. 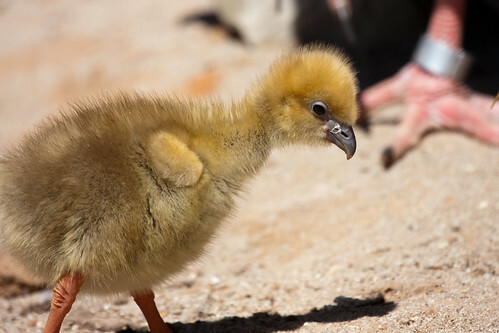 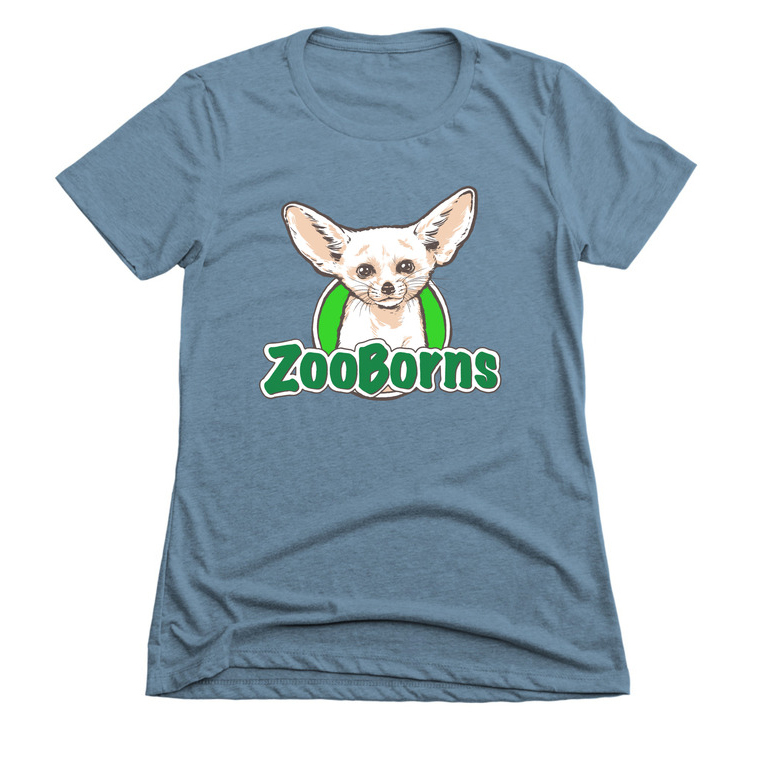 Screamer chicks leave the nest after hatching, but their parents care for them for several weeks.